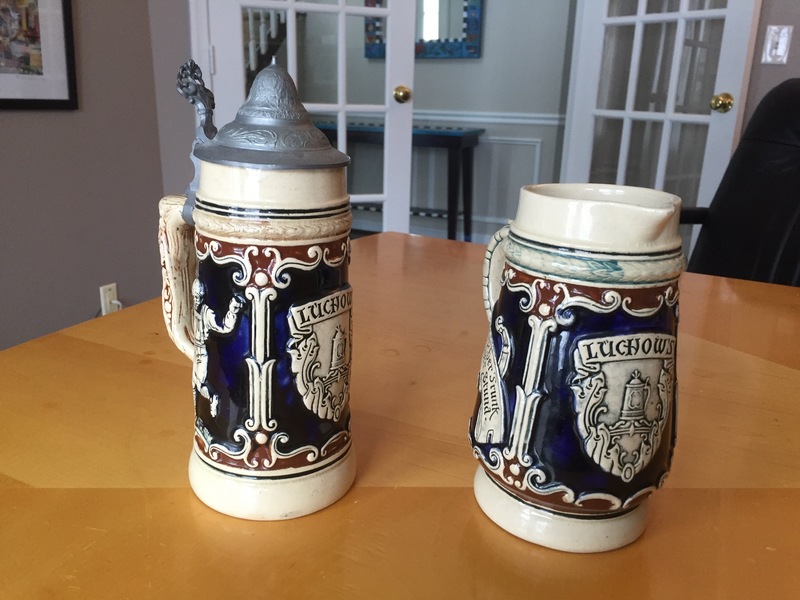 Two items from Luchow’s in NYC. 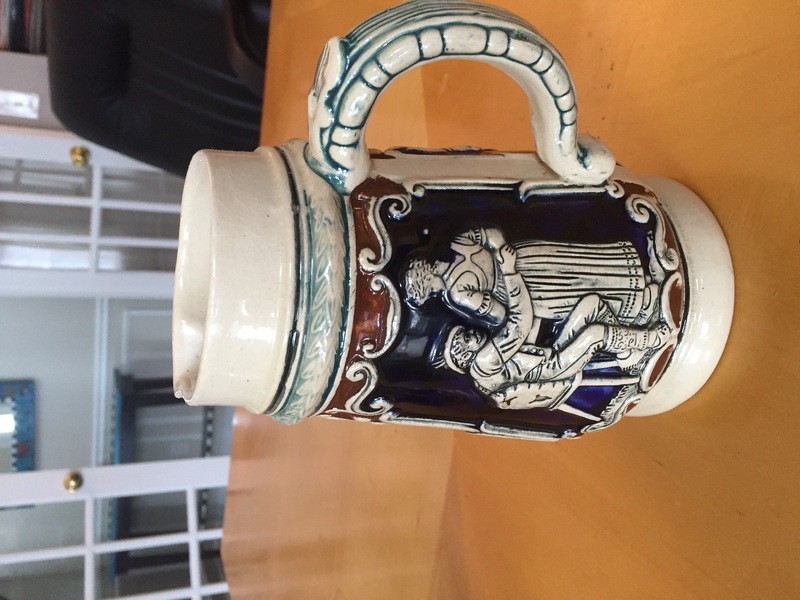 They belonged to my grandparents. 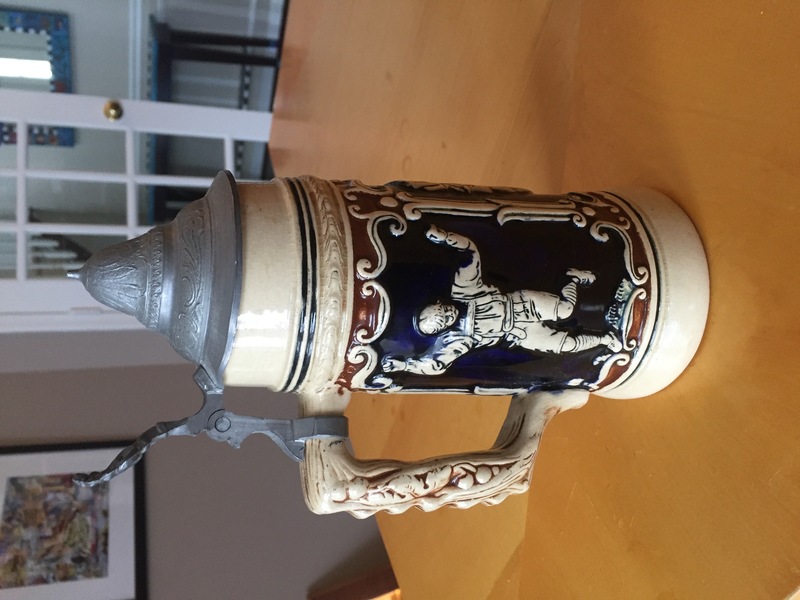 First item is a beer stein with a pewter lid. 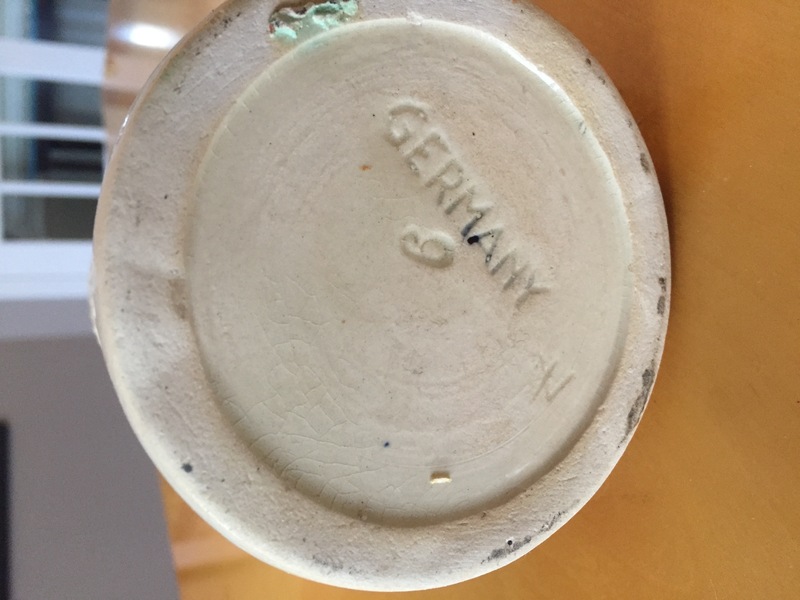 The bottom is stamped with “GERMANY” and the number 9 (or 6) and a hand carved number 7. 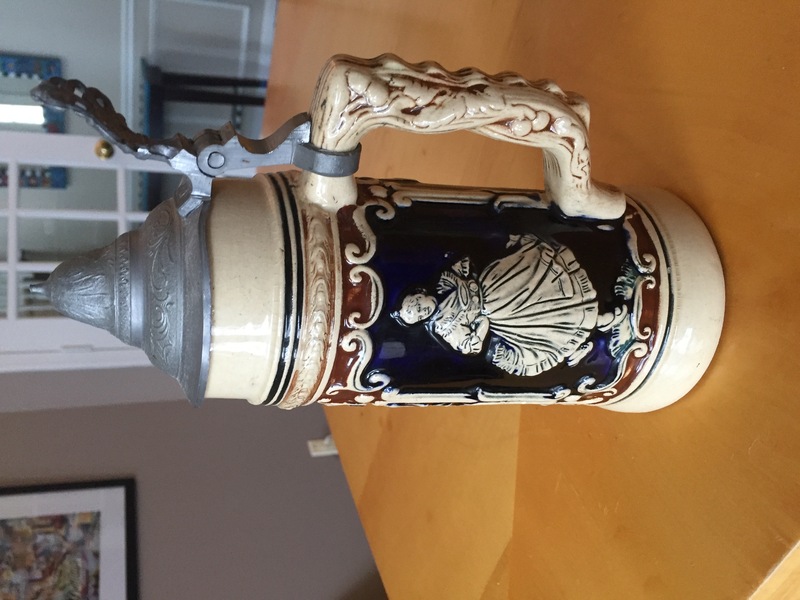 The pitcher is also stamped “GERMANY” and the number 5 on the bottom. 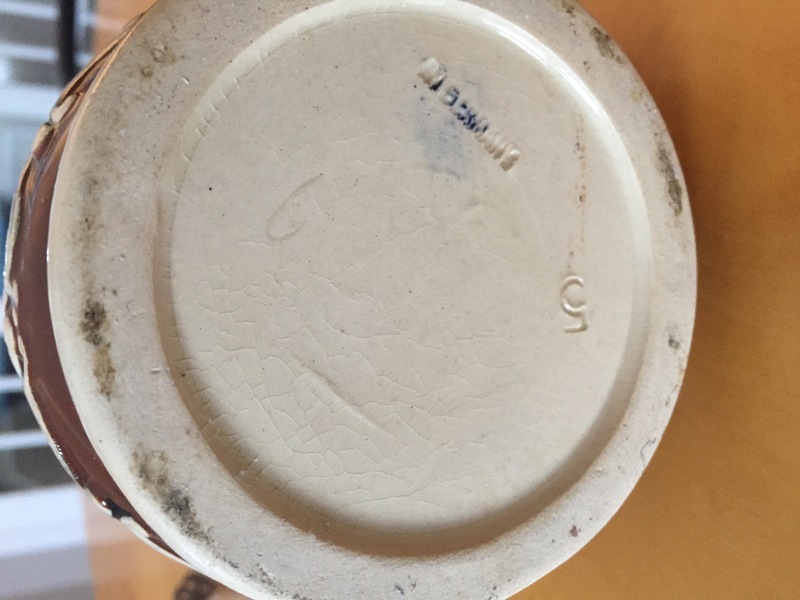 Both items are in great condition with no visible chips, just some small signs of wear. 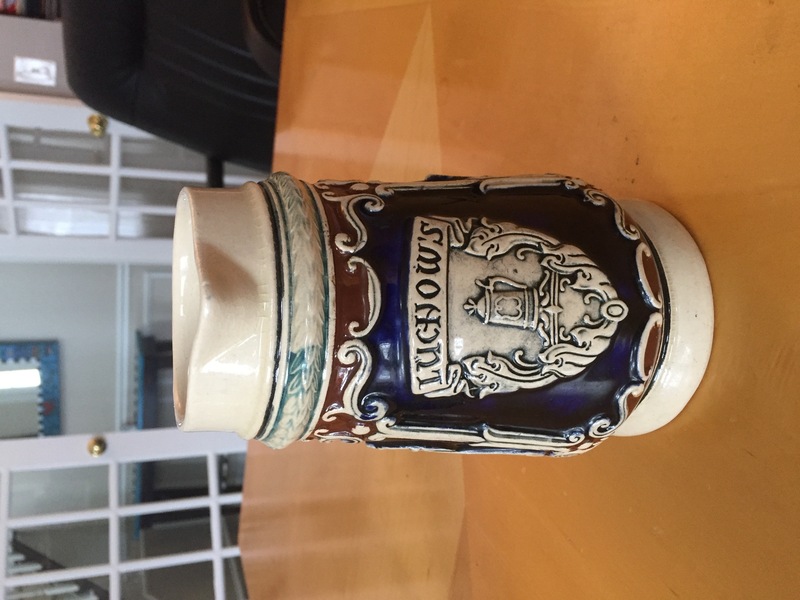 Luchow's German Restaurant was operational from 1882 till 1993 when it closed. 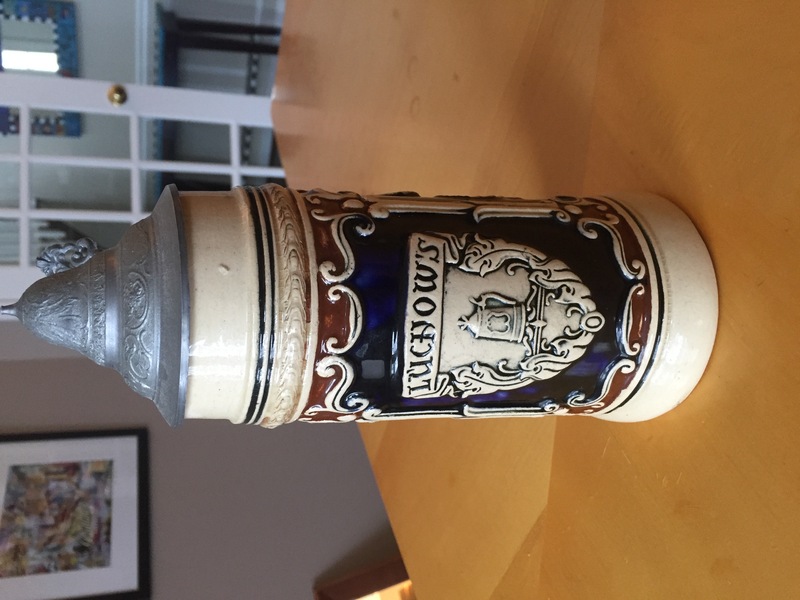 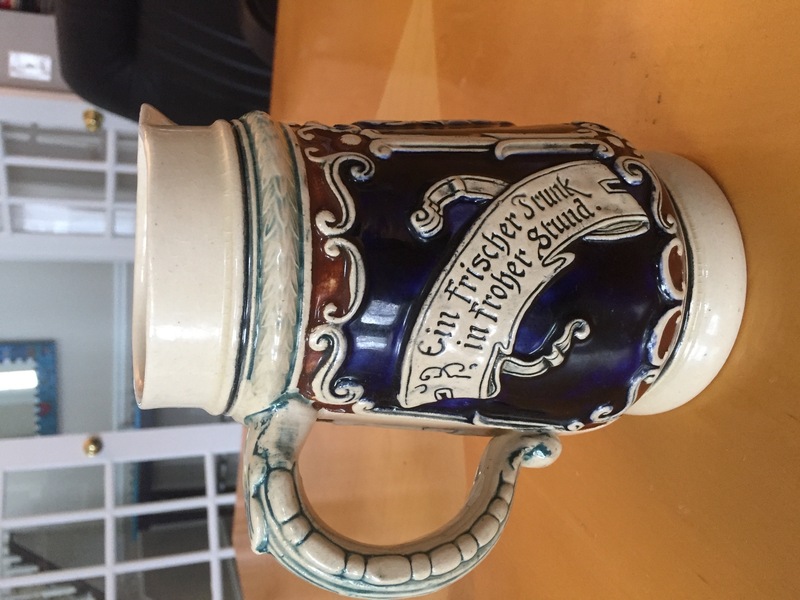 No big value I'm afraid, most comparable steins sell for under $50.00 at auction.